When you are beauty addict/have a shopping addiction/get easily influenced by everyone you need somewhere to keep it all. My little makeup storage was no longer working out and we had to take separate paths 💔. It was a hard time. 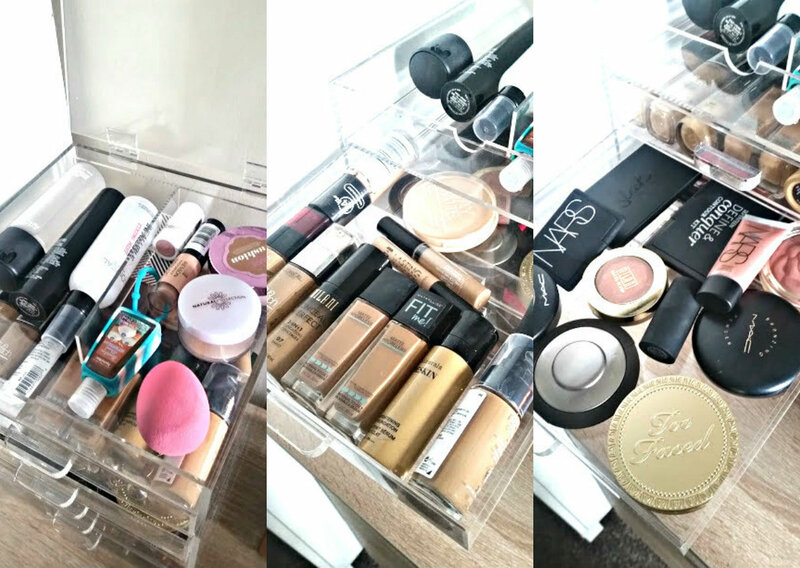 A few weeks ago the lovely Sarah from Sarah Sparkles linked me to her new makeup storage post, she had just invested in some new storage and her post came at the same time as I was looking for some. It took me no more than 5 minutes after reading the post to buy the acrylic storage she had bought, it was perfect for everything and anything. Its been a few weeks now since I moved into my house for my second year at university, and the same time that its taken me to organised my beauty area and get it to the point where I am happy with it. Of course it never stays clean and tidy but it looks good on the eye. The colour scheme in my room is pink and copper, an odd combination but I am in love with it. I had to 'downsize' my makeup collection shall we say to bring it with me, no point bringing everything and not using it all. Currently, everything is set on top of a large chest of draws. Its working amazingly well, I can get to it all and looks a lot neater than smaller acrylic storage boxes. Each section stores a separate thing, sort of the order that I apply products - it doesn't always look so tidy. In the morning, when in a rush there is stuff everywhere and the time it takes to put it all away is laughable. Personally, having storage that is made out of acrylic makes it all look neater, cleaner and it goes with everything. No matter what colour scheme you have in your room, the clear colour makes it go with everything. The dream is to one day create my own storage, fit for purpose and using cut to size acrylic, this way I can have different pieces for different sized products and build it to how I want. 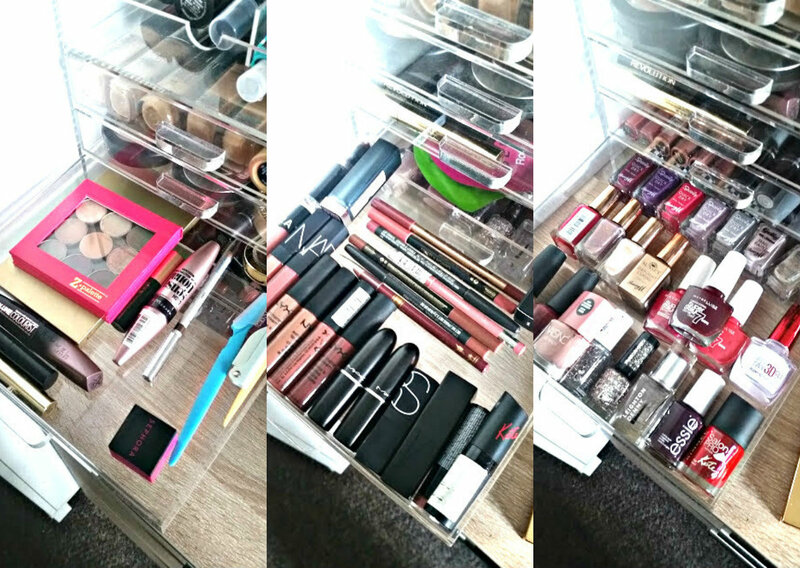 These perspex sheets seem like the ideal material to use to create this dream storage of mine, or even to use as a tray for things to stand up on, even better a sheet to rest used makeup sponges/brushes. I never know where to put them once I've used them and hate mixing it with dirty applicators! Acrylic is a doddle to clean, so no worrying if you get makeup stains all over it! The little touches on the draws eg the reed diffuser, quote and candle makes it a pleasant place to sit and do my makeup. Its my own little sanctuary! What's your current beauty set up?